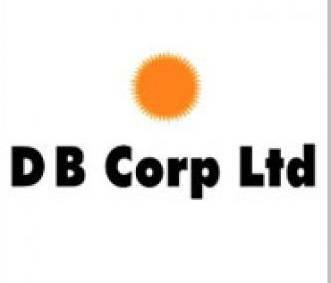 DB Corp Limited (DBCL), home to flagship newspapers Dainik Bhaskar, Divya Bhaskar, Divya Marathi and Saurashtra Samachar, has reported a growth of 13 per cent YOY in its advertising revenues to Rs 4,813 million in the third quarter ending December 31, 2018 from Rs 4,261 million in Q3 FY18. Circulation revenue increased 3 per cent YoY to Rs 1,301 million from Rs 1,262 million. Total revenue grew by 11 per cent to Rs 6,616 million in Q3 FY19 from Rs 5,965 million in the corresponding period of the last fiscal. EBIDTA stood at Rs 1,417 million (margin of 21.4 per cent), against EBIDTA of Rs 1,434 million on the back of strategic cost rationalisation measures and despite high newsprint rates. Profit After Tax (PAT) stood at Rs 756 million (PAT margin 11.4 per cent), against Rs 781 million (PAT margin 13 per cent) in Q3 FY18. The group’s radio business reported stellar performance, with advertising revenues expanding by 39 per cent YOY to Rs 465 million in Q3 FY19, against Rs 334 million in Q3 of last fiscal. EBIDTA grew 2x YOY to Rs 202 million (EBIDTA margin of 43 per cent) from Rs 96 million (EBIDTA margin of 29 per cent); margin expansion of 1400 bps. PAT grew by ~3x YOY to Rs 112 million from Rs 42 million last year. The digital business, too, gained traction, turning EBITDA positive on the back of renewed focus on business profitability. Revenue for the quarter stood at Rs 141 million as against Rs 154 million for Q3 FY18.